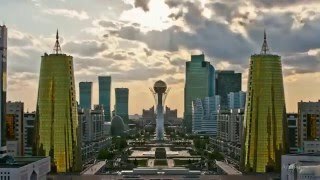 N 51° 10' 48" and E 71° 26' 45"
Astana in Astana Qalasy with it's 345,604 citizens is a town in Kazakhstan. It's the capital of this country. Current time in Astana is now 07:07 AM (Monday). The local timezone is named Asia / Almaty with an UTC offset of 6 hours. We know of 3 airports near Astana, of which two are larger airports. The closest airport in Kazakhstan is Astana International Airport in a distance of 11 mi (or 18 km), South. Besides the airports, there are other travel options available (check left side). When in this area, you might want to pay a visit to some of the following locations: Aqkoel, Karagandy, Kokshetau, Omsk and Petropavl. To further explore this place, just scroll down and browse the available info. Let's start with some photos from the area. Adrian Smith+Gordon Gill Architecture - победитель архитектурного конкурса. 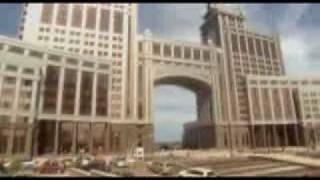 The Majilis (also transliterated as Mazhilis; "Assembly" in Kazakh) is the lower house of the bicameral Parliament of Kazakhstan, known as the Parlamenti, in the Government of Kazakhstan. The upper house of Parliament is the Senate of Kazakhstan. There are 77 seats, 67 in single seat constituencies and 10 by proportional representation, in the Majilis. Members of Parliament are elected to five year terms. The Chairman of the Majilis is Ural Mukhamedzhanov. Located at 51.1797, 71.4467 (Lat. / Lng. ), about 0 miles away. Astana International Airport is an international airport in Kazakhstan located 14 km (9 mi) outside of the capital Astana. Located at 51.0222, 71.4669 (Lat. / Lng. ), about 11 miles away. The Senate of Kazakhastan is the upper house of two chambers in Kazakhstan's legislature, known as the Parliament (Parlamenti). The Senate has 47 members, 40 of whom are elected for six-year terms in double-seat constituencies by the local assemblies, half renewed every two years; and 7 presidential appointees. In addition, ex-presidents are ex-officio senators for life. The other house is the Majilis. Kayrat Mami is the chairman of the Senate. Kazhimukan Munaitpasov Stadium is a multi-purpose stadium in Astana, Kazakhstan. It is currently used mostly for Soccermatches and is the home stadium of FC Astana-64. The stadium holds 12,350 people. Located at 51.1627, 71.4133 (Lat. / Lng. ), about 2 miles away. 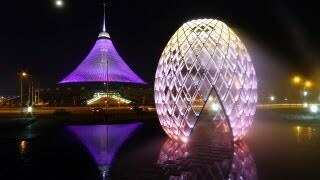 Bayterek, is a monument and observation tower in Astana, Kazakhstan. A tourist attraction popular with foreign visitors and native Kazakhs alike, it is emblematic of the city, which became capital of the country in 1997. Located at 51.1283, 71.4305 (Lat. / Lng. ), about 4 miles away. 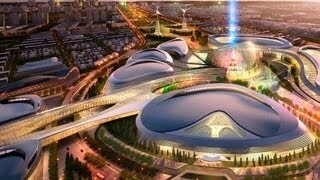 Astana Arena is the new national stadium for Kazakhstan. It is a multi functional, fully enclosed, fully serviced closing roof stadium designed in Turkey by Tabanlioglu Architects. It was opened with the Lokomotiv Astana match against Kazakhstan national under-21 football team on 3 July 2009. 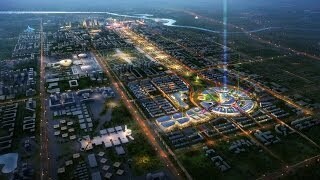 The new arena also hosted the opening ceremony of the 7th Asian Winter Games. Located at 51.1081, 71.4017 (Lat. / Lng. ), about 5 miles away. Tselinograd District is the district that surrounds the city and country capital of Astana in northern Kazakhstan. The administrative center of the district is the selo of Akmol. Population: 58,350 (2009 Census results);42,068 (1999 Census results). Located at 51.1667, 71.4333 (Lat. / Lng. ), about 1 miles away. Kazakhstan Sport Palace is an indoor sporting arena located in Astana, Kazakhstan. It is used to host various indoor events and serves as the home of Barys Astana of the Kontinental Hockey League. The arena seats 5,500 spectators. Located at 51.1557, 71.4653 (Lat. / Lng. ), about 2 miles away. Abu Dhabi Plaza is a tower under construction project in Astana, Kazakhstan, consisting of office, residential, and shopping space and a hotel. If completed, the project will have many towers reaching different heights (similar to the Willis Tower), the tallest reaching a height of 382 m with 88 floors. Located at 51.1221, 71.4282 (Lat. / Lng. ), about 4 miles away. 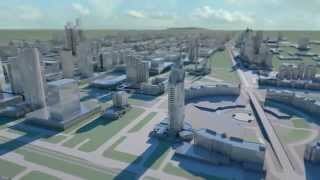 Emerald Towers is a project consisting of three office towers of 54, 43 and 37 floors in Astana, Kazakhstan. Currently, the project is on hold. Located at 51.1308, 71.4241 (Lat. / Lng. ), about 4 miles away. The Supreme Court of the Republic of Kazakhstan is the highest of three levels of courts of Kazakhstan, sitting above regional appeals courts, and city or district courts. 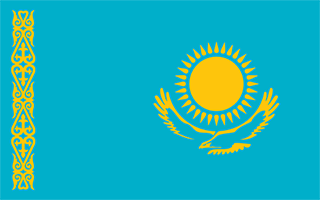 The Supreme Judicial Council recommends nominee Supreme Court judges to the President of Kazakhstan; the president then submits the nominees to the Senate of Kazakhstan for a vote of confirmation. Located at 51.1292, 71.4438 (Lat. / Lng. ), about 4 miles away. Nazarbayev University is an autonomous research university located in Astana, the national capital of Kazakhstan. 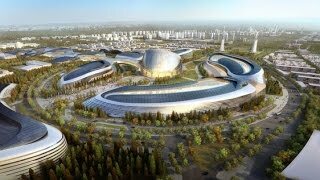 The university was founded as a result of the personal initiative of the President of Kazakhstan, Nursultan Nazarbayev, for whom it is named. It is positioned as a world-class teaching and research university. It is an English-medium institution, with an international faculty and staff. The acceptance rate for undergraduate programmes is 1:8.5. Located at 51.09, 71.3994 (Lat. / Lng. ), about 7 miles away. Nurzhol Boulevard is the national boulevard of Kazakhstan, a pedestrian area in the new business and administrative centre on the left bank of Ishim river, in the capital, Astana. The Boulevard is one of the main attractions of the city and country. Both Nurzhol Boulevard and the layout of the city were designed by renowned architect Kisho Kurokawa. The boulevard runs from the President's residence Ak Orda to the marquee shaped Khan Shatyr Entertainment Center (Хан Шатыр). Located at 51.1272, 71.437 (Lat. / Lng. ), about 4 miles away. 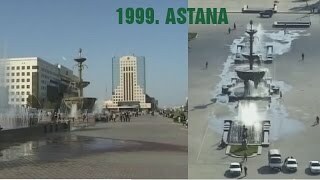 These are some bigger and more relevant cities in the wider vivinity of Astana. These are the most popular locations in Kazakhstan on Tripmondo.